Resistant bacterial infections kill at least 23,000 Americans per year. Some want Medicare to change the way it pays for hospital use of antibiotics. (Bloomberg) — Every year at least 23,000 Americans die from bacterial infections that don’t have effective treatments, including two patients killed in a recent outbreak in a Los Angeles hospital that has spurred new attention on the issue. While public health experts say the risk from infections of drug-resistant “superbugs” has been growing, the pipeline of new antibiotics to treat them hasn’t kept pace. Doctors are forced to rely on decades-old medicines with sometimes heavy side effects to treat everything from urinary tract infections to deadly hospital-acquired bacteria such as carbapenem- resistant Enterobacteriaceae, the pathogen in the Los Angeles cases. Some 16 new antibiotics were approved from 1983 to 1987, but the rate of new drugs coming to market has fallen since then. From 2008 to 2012, just two were approved, according to a study published in the journal Clinical Infectious Diseases. Price has played a part. While drugmakers charge more than $100,000 for the latest cancer treatments, antibiotics command far less. Cubist Pharmaceuticals Inc., an antibiotic developer bought by Merck & Co. this year, charges between $2,000 and $4,500 for its therapies. Public health experts caution against overusing new drugs, saying they could build resistance and create new superbugs. 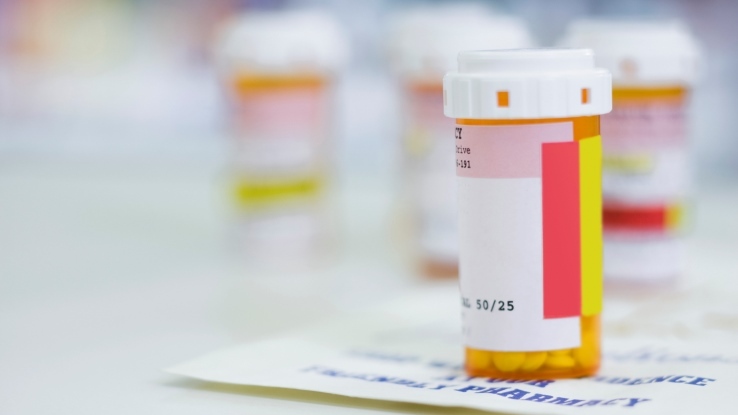 The Centers for Disease Control and Prevention (CDC) estimates that each year at least 2 million people are infected with antibiotic-resistant bugs in the U.S. The National Institutes of Health Clinical Center in Bethesda, Md., fought its own superbug outbreak in 2011. At one point, the flagship health center’s outbreak was spreading at a rate of one new infection a week. New antibiotics are difficult to discover. Researchers have gone to mountainsides, caves and under the sea to look for organisms that can produce antibiotic compounds. Eli Lilly & Co. at one time asked employees to bring back dirt samples from their vacations, which could be sent to the company’s labs for analysis. Clinical trials can be problematic as well. It’s considered unethical to give a patient with a deadly infection a placebo, making it harder to test experimental treatments. And once approved, doctors and hospitals administer the newest, most powerful antibiotics only as a last resort. Even with the difficult economics, companies and policy makers are attempting to find new ways forward. Merck made a push into antibiotics late last year, buying Cubist for $8.4 billion and adding a pipeline of treatments that target drug- resistant infections. The lack of new drugs has also sounded alarms in the White House and in Congress. One proposal would change the way Medicare pays for antibiotics used in hospitals, potentially removing the financial hurdles to using the drugs. Another would boost funding for antibiotic discovery to help lure in more drugmakers. There are some promising signs that pharmaceutical companies are moving back into antibiotic development. Merck will start final-stage trials this year for a drug that treats some types of CRE infections. AstraZeneca’s antibiotic CAZ-AVI is being developed for some of the hardest-to-treat drug- resistant infections.